Thoughtfully engineered to KEEP YOUR BEARD HANDSOME. FREE KEYCHAIN COMB WHEN YOU PAY SHIPPING! 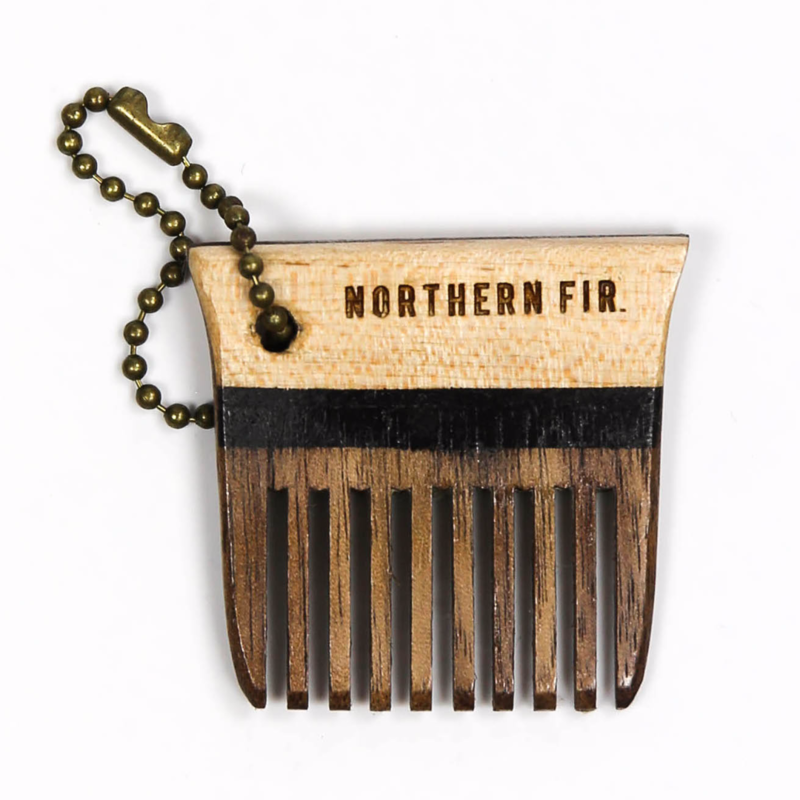 Northern Fir is the world's most effective all-natural grooming brand. Our Keychain Comb is handmade in Austin out of environmentally-friendly American Maple and Walnut wood -- more durable than plastic, waterproof, oil-proof, and detangles without breaking. Shop with us today and see the Northern Fir difference. Try Northern Fir out for 30 days and if it doesn’t work for you, you’ll get your money back! There’s absolutely no risk in giving it a try. No questions asked, you can get your money back! YOU COVER THE SHIPPING, WE'LL COVER THE COMB! Copyright © Northern Fir Beard Company. All rights reserved.